Got some time this weekend? How about curling up with a good book on math? No, really. We have noticed that we have forgotten a little bit/a lot of the math we had learned in high school. We thought we knew many of the concepts, like imaginary numbers, natural logs, and that weird number “e.” However, when we tried explaining them, mostly to the interns when they asked us what they thought was a “simple question,” we realized we couldn’t really answer them. 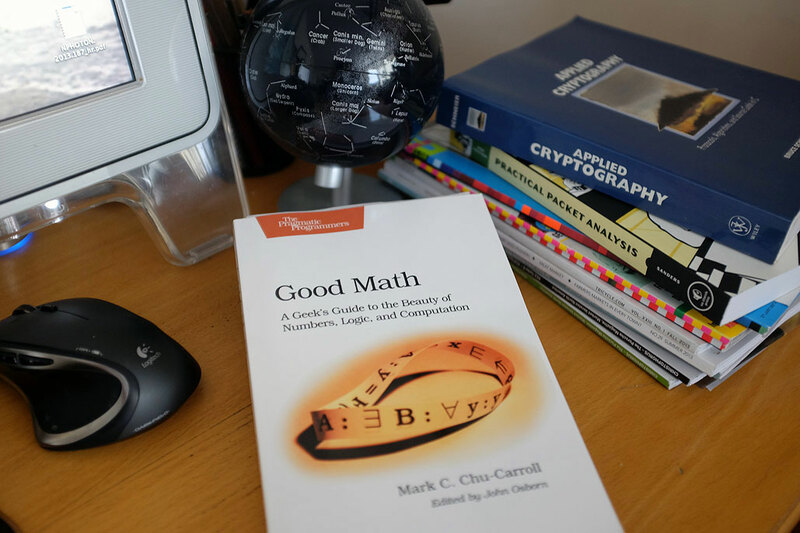 When the nice folks at Pragmatic Programmers asked if we would be interested in checking out their new book Good Math, we immediately agreed. The book is AWESOME. Mark C. Chu-Carroll was able to take complicated (to us) and sometimes confusing (possibly to you) concepts and deconstruct them into digestible pieces. He then reassembled them in ways which gave the subject matter both context and meaning.